Most practices in the United States are setup and stocked to treat two domestic species; cats and dogs. However, there is a huge, under-served population of pets that most clinics are not prepared to handle in the event of an emergency or a simple physical exam. Ferrets, guinea pigs, pot-bellied pigs, birds of all kinds, hedgehogs and reptiles of every assorted scale type, are growing in popularity. These animals require special equipment to make our lives as veterinary professionals a little less stressful and dangerous. 1. Mid-length welding gloves: Most practices already have leather gloves for those fractious cats we love to handle. I highly recommend getting a second pair dedicated only to the exotic pets. Handling is stressful for small mammals and birds, but adding the smell of a natural predator only increases their stress level. 2. A few different sized nets: Netting exotic animals isn’t really recommended, but occasionally these pets will escape. Having small nets with mesh made with higher numbers of holes per square inch provides safer capture and transport for smaller exotics. 3. Pillow cases: Pillow cases are extremely useful in restraining exotic pets. One thing I like suggest is take two identical towels and sew them together on three sides, basically creating a custom restraint bag. The thicker material will prevent spiny or long clawed pets from perforating through a standard pillow case. 4. 30 g IV catheters: Obtaining intravenous access on small exotics is a challenge. Having 30 g IV catheters in your Exotic Animal Tool Kit will make these small diameter vessels easier to catheterize. To make this skill more challenging, all of the 30 g IV catheters I have ever used have an opaque hub. This makes visualizing the flash difficult. Heat lamps: Infrared bulbs or ceramic non-light producing bulbs work well. Warning: ceramic lights screw into a socket much like a bulb but do not emit any light. They produce a lot of heat and must be used ONLY in a socket rated for the element or there is risk of overheating and fire. They are also hot to handle and require appropriate signage to avoid operator burn injury. Bubble wrap: Bubble wrap acts as a great insulator and is lightweight. 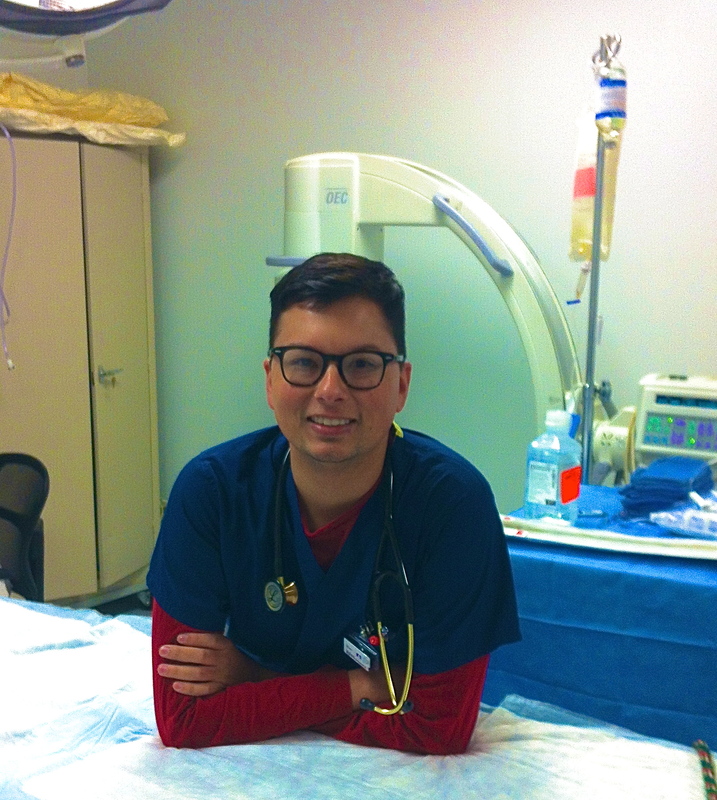 Towels or other heavier material to cover a patient can impede normal chest expansion. Circulating warm water blankets: These units are also ideal. Stagnant heat producing pads can work, but these always carry a risk of thermal burns for the patient. 6. Masks for O2 delivery or anesthesia induction/maintenance: There is a very limited selection of appropriately sized oxygen masks available for exotic animals. With a little ingenuity and dexterity, exotic animal O2 masks can be made from water bottles/jugs, hard plastic syringe cases or the actual syringe minus the plunger and needle. Remember to cover the edges of the masks with moleskin or some other thin durable padding to prevent facial abrasions. Endotracheal intubation of exotics requires special training. Until that training is obtained, a tight fitting mask can be use in lieu of intubation. 7. Small laryngoscope blades: Finding a #0 neonate laryngoscope blade is not difficult to do, but finding a #00 blade can be challenging. 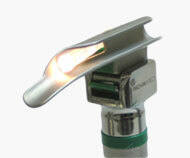 Having an appropriate sized laryngoscope blade for tiny patients can literally make the difference between life and death. I find this so critically important that I have had the more common #0 blade modified at a metal shop for use in the tinier patients when I cannot find a #00 for purchase. 8. Endotracheal tubes: Having the appropriate size ETT is vital. Stocking cuffed and un-cuffed tubes in sizes 2-4.5mm is also important. Birds have a fully ringed trachea. Intubating a bird with a cuffed ETT can do serious damage to their fragile trachea. Some patients are so small that even a size 2 ETT is too large. In that case, 14, 16 and 18 g IV catheters can be modified as tiny endotracheal tubes. Endotracheal tube selection for exotic animals and pocket pets. 9. Concentrated drugs: Although this decision is dictated by the veterinarian, having more concentrated drugs on hand will do wonders for you and your patients. If I were forced to choose two; I would select 200mg/ml Ketamine and 100mg/ml Enrofloxacin. When dealing with smaller patients limiting discomfort with smaller IM, SQ and IV injections is ideal. 10. A clinical textbook for exotic species: There are many good books on the market that are written to assist the less experienced veterinarian and technician with treating and managing exotic animals in practice. Select one that teaches species specific husbandry. Having one on hand in case any questions arise is a safe investment. 11. Small humidifier: Many exotic animal related illnesses and chronic conditions are caused by a lifetime of poor husbandry and nutrition. Having a small humidifier that can go in a cage or terrarium is crucial. They can also have the added benefit as acting as a treatment nebulizer. 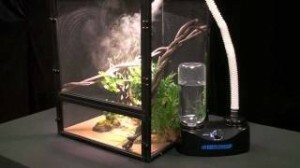 One particular brand I like is the Zoo Med Repti Fogger Terrarium Humidifier. 12. Temperature and humidity sensor: These small devices are also crucial in the proper management of exotic species in regard to their husbandry. 13. Different kinds of water: I know this sounds a bit strange but having good water for exotics like fish and amphibians is crucial. Water testing strips for pH levels and buffering agents are a MUST! Having a gallon or two of Reverse Osmosis water is also ideal, but remember before using R/O water it will need to be buffered. The last thing we want to do as the people responsible for a pet is to throw it in an acid bath or deplete the animals’ electrolytes by giving them pure, “naked” water. Remember for amphibians many things are absorbed through their skin. 14. A gram scale: The ability to accurately weigh our patients is critical for medication/fluid dosing and for nutritional assessment. 15. A Doppler monitor: Hopefully, you already have a Doppler in-house for use as a blood pressure monitor for your canine and feline patients. These monitors play a key role in exotic animal anesthesia monitoring and critical care as general heart monitor. So, I wonder, when the phone rings at your practice and the person on the phone says that they have a rabbit, guinea pig, snake or turtle, are your client service representatives recommending another practice? If so, with training and an investment in being prepared to treat these patients, you can easily turn your practice’s reputation into the practice that sees these special patients.